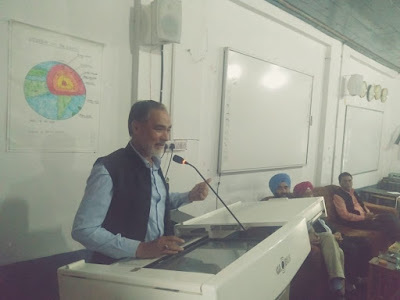 Pervaiz Malik, 50, born and brought up in Darhal tehsil of District Rajouri, J&K, is an excellent Urdu poet who occasionally ventures into Gojri and Pahari languages as well. Besides, Malik has also been a successful lyricist who has penned down lyrics for various TV serials and movies in the above mentioned languages. Pervaiz Malik, who uses the pen name (Takhallus) Pervaiz, has written lyrics for TV serials like Zindagi Kuch Is Tarah, Rekha, Wardi, Khaidh Lakeeran Ki, Hamqadam and Neelama, which were broadcasted on DD Kashir and DD Urdu. Pervaiz has also written songs for the famous Pahari Movie, Lakeer, which are very popular on both the sides of LOC, in J&K. Besides, he has been a prominent script writer and actor of the state of Jammu and Kashmir. Malik, an erstwhile well-known folk singer, has released his two Pahari albums under the titles of Kadey Kadey Dil Akhna and Koka Gami Gaya. 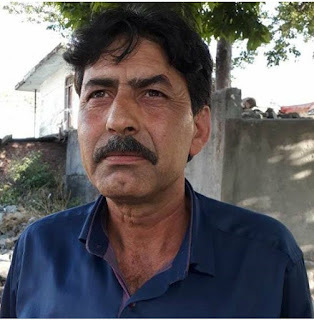 In 2014, he was awarded The Best Script Writer Award, which was bestowed upon him by the Academy of Art, Culture and Languages, Government of Jammu and Kashmir (India) for his work “Wo Darwaza Khul Jayega”. Malik, who began to compose poetry at 30, opines that , “poetry and all other forms of art are nothing but a “manifestation of human pleasure and pain”. His poetic work titled “Teh-e-Barf (Beneath the Snow)” is a collection of his Urdu Ghazals and poems, which is in the process of being published.